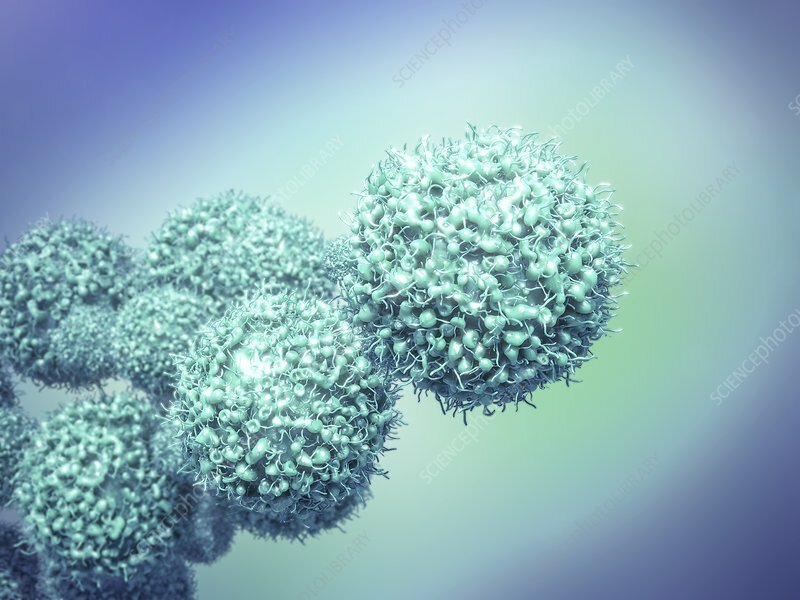 Cancer cells, 3D computer illustration. Cancerous (malignant) cells divide rapidly and uncontrollably and are able to invade and destroy surrounding tissue. These cells show numerous blebs (lumps) and microvilli (hair-like structures) in their surface, which are characteristic of cancer cells.